2011 was the 50th anniversary of the closing of HMS Harrier (Kete), which began life as HMS Goldcrest 2 in 1943. Kete was used during World War 11 as the Royal Navy’s Air Direction School for training radar technicians and Fighter Direction Officers. Their job was to detect enemy bombers before they could attack allied shipping, and to direct fighter aircraft to shoot them down. 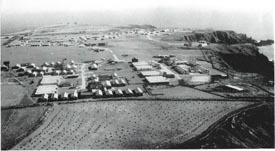 Together with nearby Dale airfield, it acted as a shore-based aircraft carrier, with aircraft from nearby bases fighting mock battles over the sea from Kete to The Smalls Rocks. The Kete base was commissioned as HMS Harrier in 1948, becoming at the same time The Royal Navy Meteorology School. Ex Harriers attended along with representatives from RN Assoc. 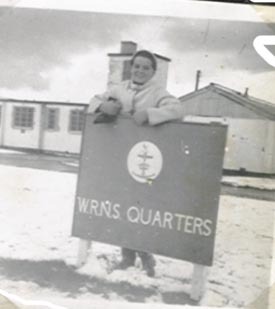 Pembrokeshire, RN Assoc. Cardigan, RN Assoc. Pembroke Dock, WRNS Association, Milford Haven Sea Cadets of TS Harrier, Cloud Observers Organization – Met Assoc. and members of the local community.